Like this post if you want whiter underarms! One of my all-time top-viewed post is my review of the Human Heart Nature Sunflower Beauty Oil. You can read it here if you'd like to revisit my underarm challenge. Since the sun's up and about again, the season of sleeveless tops make it twice as important to have fair underarms. This suggestion still involves using the beauty oil, but I added two new products in the regimen for some variety and "expedited" results. Instead of using a deodorant at night, use the Sunflower Beauty Oil (50ml/P129.75; 100ml/P289.75) to lighten your underarms. You won't need to worry about perspiring or smelling bad at night anyway since you'd just be getting your daily zzz's. Make your sleep work for you by using the time as your chance to reinforce your skin's natural beauty. The pure-grade oil is not just good at lightening and brightening the skin (not just your underarms, but pretty much your skin in general); but also, it is great in softening your skin thus prevent growth of ingrown hair. If you have stretchmarks on the sides of your arms, using Sunflower Beauty Oil at night is also great to remedy that. One very helpful treatment i lightening the skin involves exfoliation. 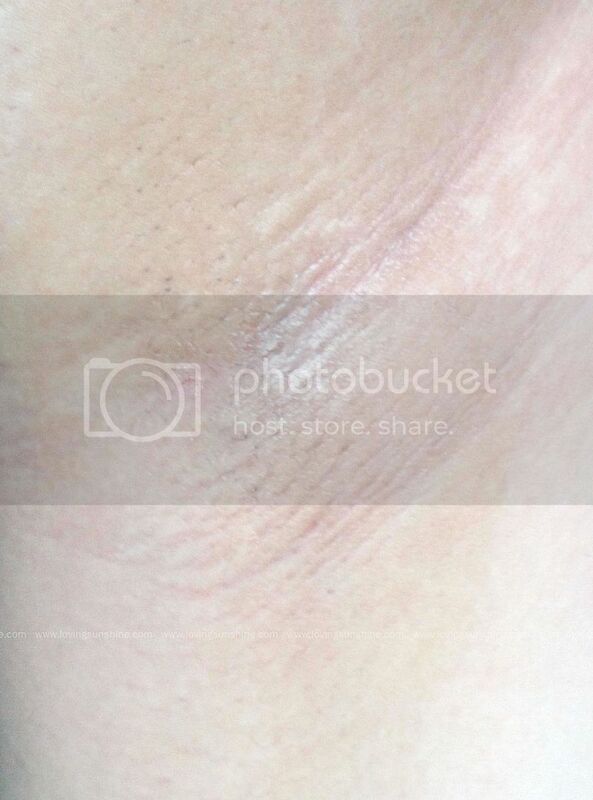 Basically, when you exfoliate, you pave way for younger and newer skin to resurface. Exfoliating your underarms with GoNaturals Skin Peel Purificator is helpful in speeding up the lightening process as it is infused with the skin lightening goodness of Papaya enzymes. WARNING: this product smells sooo bad! And I don't mean smell bad because it doesn't have parfum type. I have very high tolerance for scent especially for natural products because I do appreciate their lack of scent-enhancing chemicals... but this skin-peeling products really smells darn bad. It's a good product to try though as it's just (P69.75). If you'd like to try out Human Heart Nature products, email me so I can help you! It's not available as internationally, but why not right? It's affordable and worth it anyway! 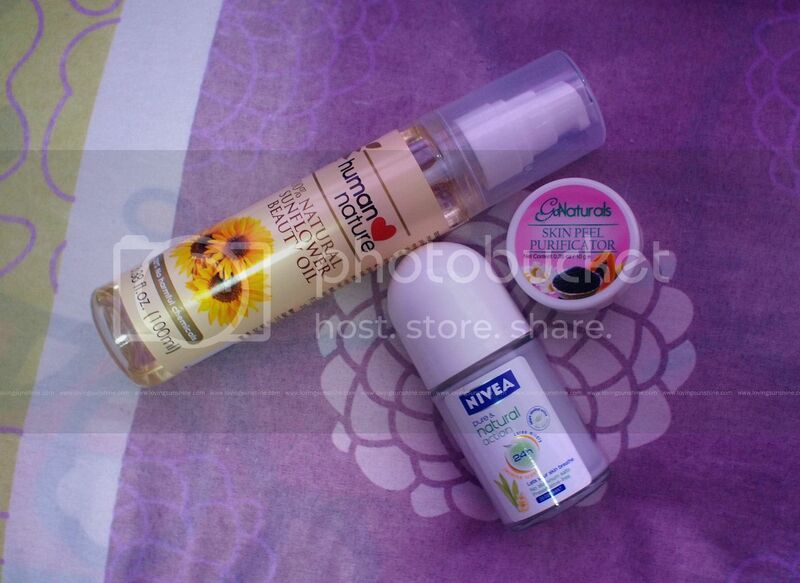 naku bibili na ako niyang sunflower oil hihihi :D thanks for the tips kumi!! Hi! I really want to try the Sunflower Oil but I don't know where to purchase it.. Can you please help me locate Human Nature branches? I'm from Sampaloc, Manila by the way. Thank you! I don't think it is. But it is available at beauty bar. You can buy from me if you want :D i ship anywhere in the world! I am still using my sunflower oil order for my scar. And this summer, I'll keep using it this summer! Show that flawless skin! hehe..
Glad to know! how is it working for you? :D let me know if you need more! I'm not sure I understand the purpose of whitening underarms? I'm just curious as I'm not sure I've hard about this before? Also, I'm trying to go more natural in my beauty routine and I have made my own deodorant with coconut oil, baking soda and corn starch and it works absolutely amazing, even better than my thrusty Mitchum deodorant! Some people unfortunately suffer from having dark underarms. Sometimes it's hormonal, sometimes it's because of how we care for the skin. Sometimes it's also lifestyle related thats why the armpits darkens. But in the event that it does, working to make it fairer is a tedious task. It can get difficult to have commercial worthy fair underarms, if you ask me. but it is very possible. im assuming your armpits didn't get dark! so lucky of you! usually it does (starts to darken) during puberty. THanks for the tips Kumi, I'll definitely try out that Sunflower oil. This has been a problem for me for forever now! thanks for sharing, will def. try it! HI! How can I order the Sunflower Oil from you? :)) I'm really interested~!